If you have a crafty child, what better way to celebrate their birthday than by doing something creative? 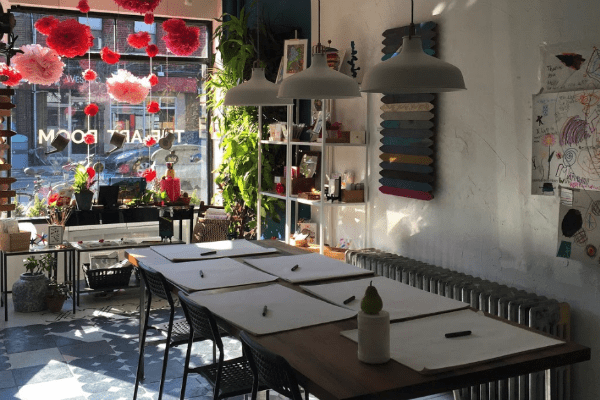 There are a number of locations across the city where kids explore their artistic vision and have a lot of fun doing it. From pottery to painting, sculpture to shadow boxes, the options are seemingly endless for arts and crafts birthday parties. Note that prices may not include HST. Kids’ parties range from painting or clay parties to collage or “pouring” parties. Two locations, in Baby Point (Jane and Annette) and The Beaches (Queen and Glen Manor). 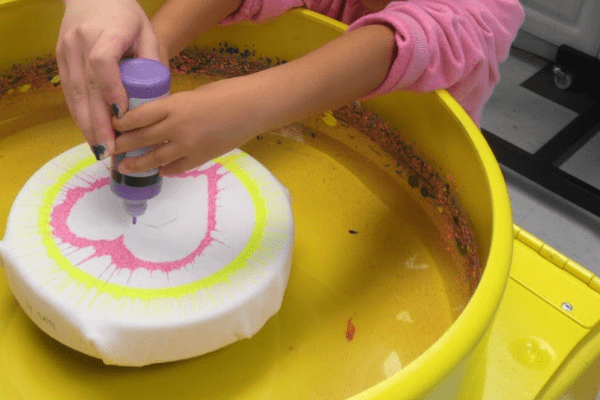 Active Kids Zone has multiple birthday party theme options, including artsy ones like Spin Tee and Frisbee, Cake Decorating, Crafts/Ceramic, and Wax Hands. Number of participants differs according to theme. Under the guidance of a staff artist, kids ages 4 and up can create their own ceramics or glass-fusing piece at these parties. Arty birthday parties at Art Cave include loot bags, take-home craft activities, and special birthday photo booth pictures. Budding artists have the option to create moving animals, try printmaking, or “paint” with modelling clay. Children ages 4–16 can choose from a wide range of drawing, painting, printmaking, and sculpture activities. An arts instructor will lead the group in a fun art project that has been pre-approved by the birthday child. A birthday party for your creative child in pottery painting, clay creations, glass working, or painting. Drama or visual arts birthday parties. At a drama party, kids participate in drama games and put on a short play. 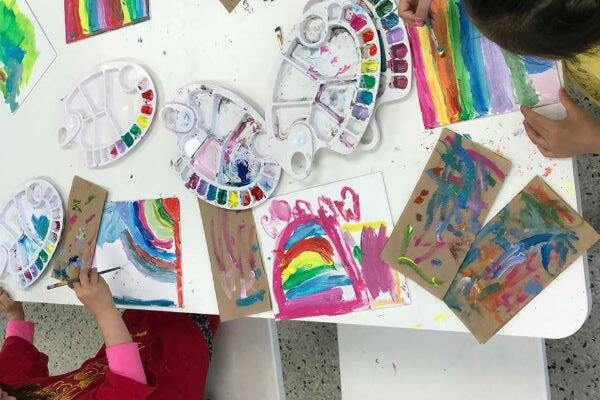 For visual art parties, choose from a variety of fun, theme-based art projects. Choose a theme and Bamboobay will design a custom craft accordingly for kids to create in either a Petite Picasso or a Deluxe Duchamp birthday party. Groove parties include dancing fun, a unique art activity, and a decorated poster to take home. Ceramic items are ready to paint, or kids can make their own masterpiece and paint that at The Clay Room’s birthday parties. With the help of a Create Art Studio art instructor, each guest creates a paint and sculpture project that they can take home. Choose from a wide variety of pottery pieces, from tiles and plates to creature and figurines, and the kids can paint them and make them their own. Kids of all ages can create or decorate their own jewelry, accessories, or clothing at this birthday party. 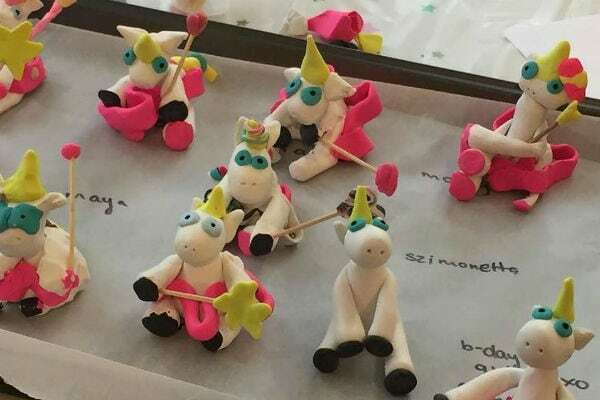 Freehand School of Art hosts a large selection of themed birthday parties, including Insect Shadow Boxes and Polymer Clay Animals to Split Pin Characters and Wearable Masks. Clay fun and sculpting is the order of the day at a Luc Sculpture birthday party. Michaels stores hosts a number of themed birthday parties, from Dinosaur Adventure and Pretty Princesses for young kids, and Polka Dot Party and Mad Scientist Laboratory for the tweens to Party While You Paint and Jewelry Design Studio for preteens. 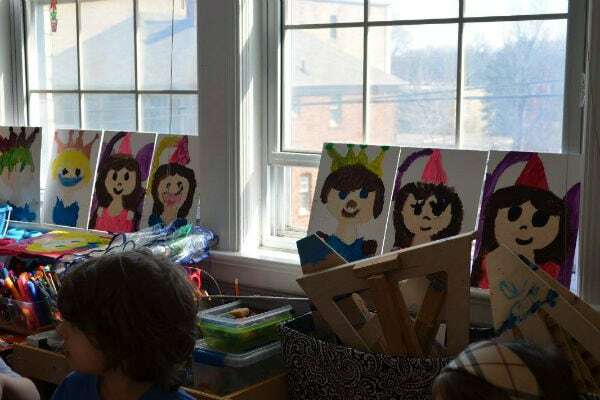 My Art Lab hosts a variety of creative parties, like The Great Train Ride in which they create a fantasy train, and Wolf & Three Little Pigs that has them create brick, straw, and wood houses and pig noses and hats. 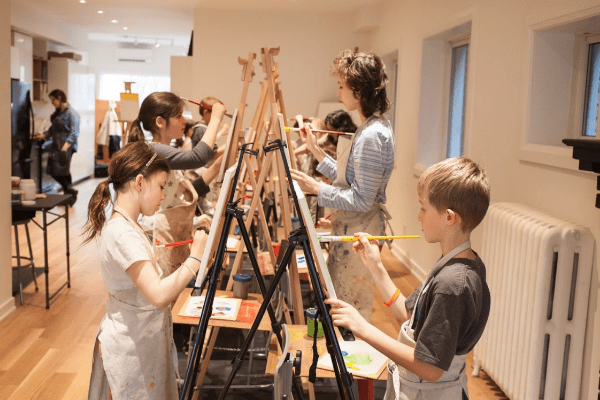 Kids get guided workshops to create their own version of a specific painting, and a chance to hang out and check out each other’s artwork. 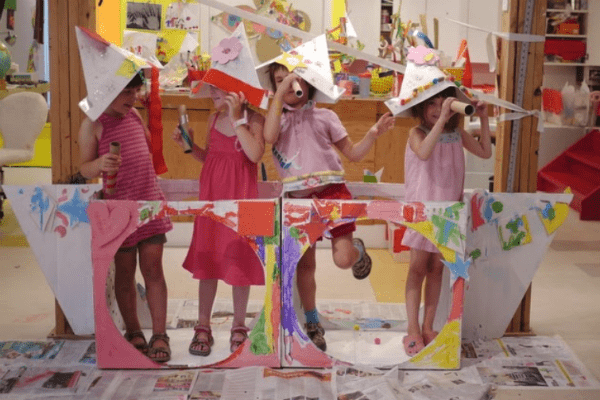 Rosetta School of Visual Arts allows children to choose from three themes for their birthday party: Abstract Painting, Portraiture, or Mixed Media Musical Instruments. Each is led by an art instructor and assistant. The birthday child gets to choose their special clay project ahead of time for the partygoers to create. Kids make their clay creations during the party and can take them home by the end of the event.